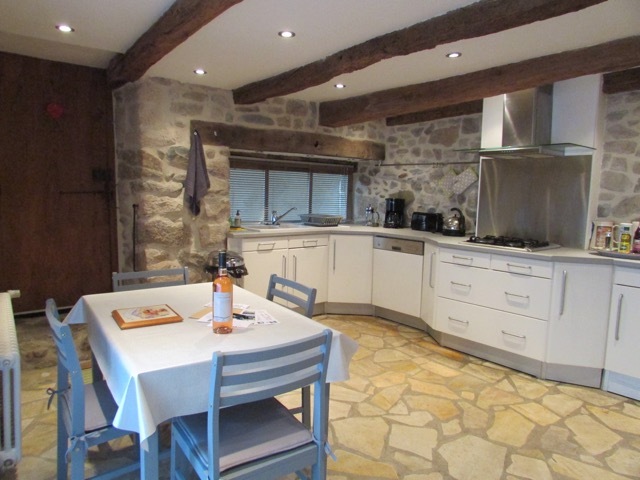 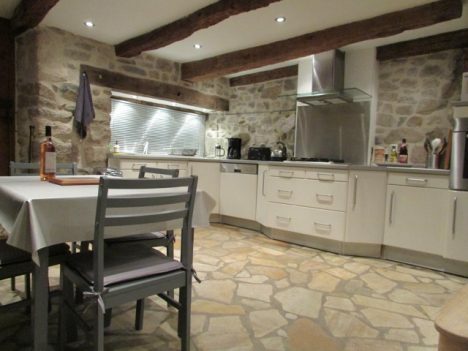 An original oak door leads from a quiet side street into a spacious, fully equipped kitchen / dining room with a stone floor and exposed stone walls. 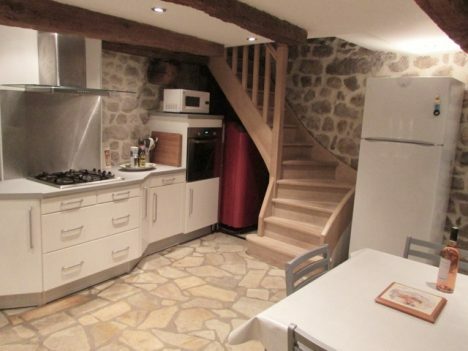 There is a gas hob, electric oven, microwave, dishwasher and large fridge freezer. Patio doors give access to a small paved area and parking space behind the church. An oak staircase leads up to a large living room ( 36m² ) with a stone floor and exposed beams. Two sofas provide a comfortable sitting area and there is UK TV and a DVD player. 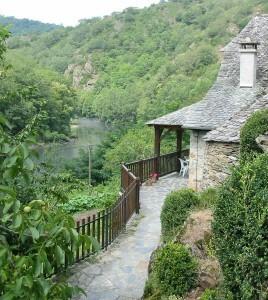 French doors lead out to a small balcony area ( 4m² ) framed with a kiwi vine. 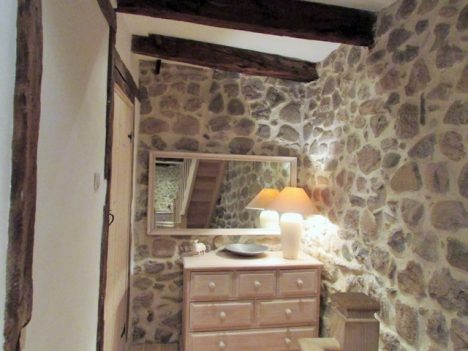 A further staircase leads to a large landing. On the left is a laundry room with washing machine, toilet and hand basin. 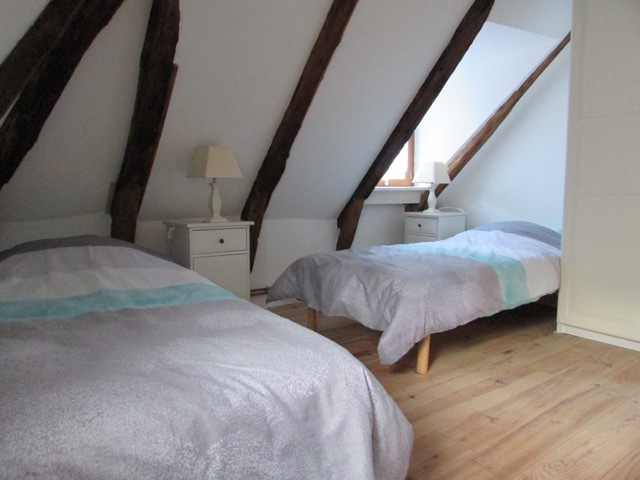 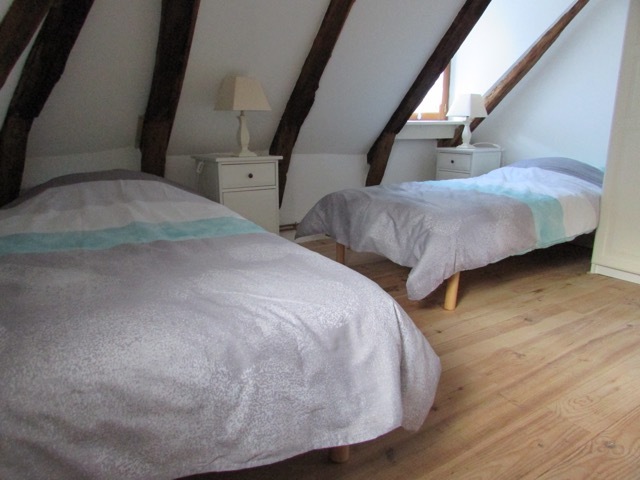 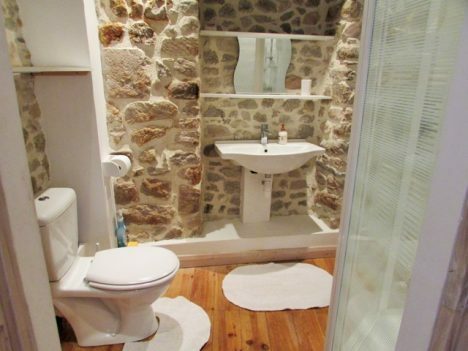 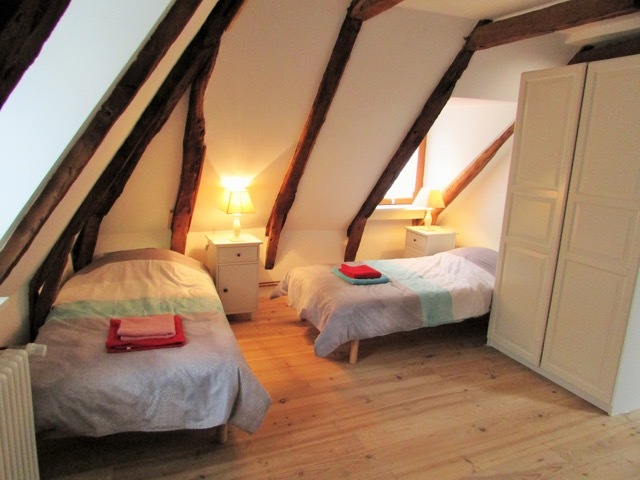 Further to the left is a bright and sunny bedroom with a double bed and an en suite shower room and toilet. 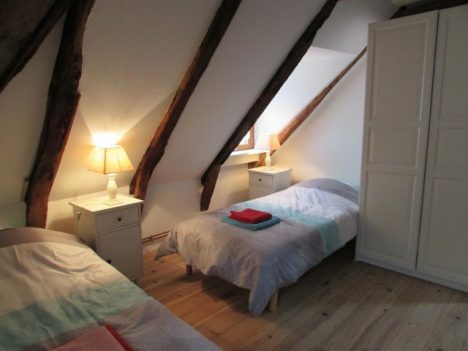 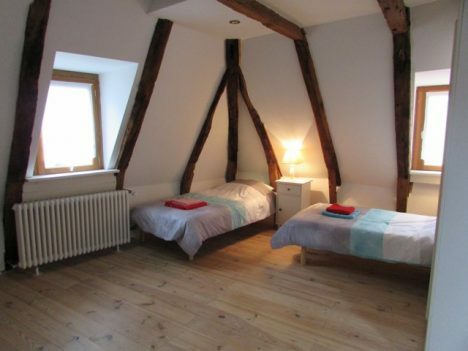 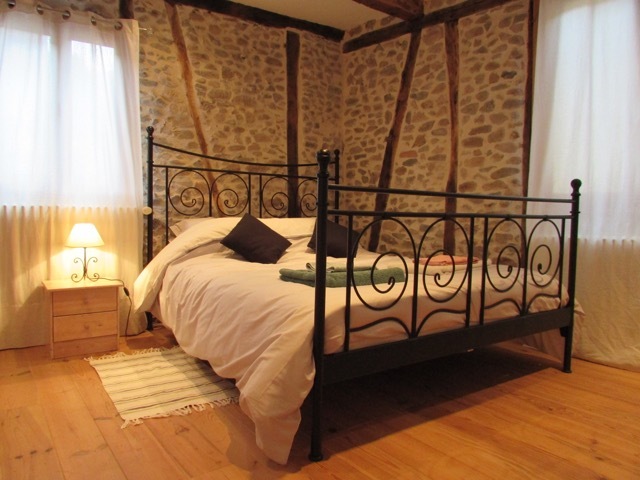 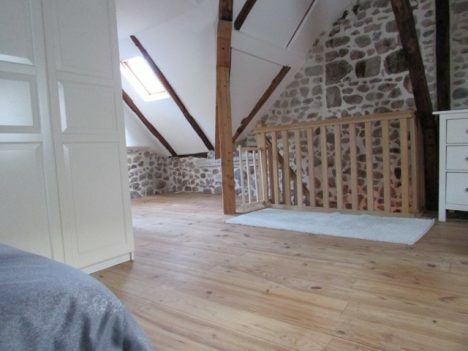 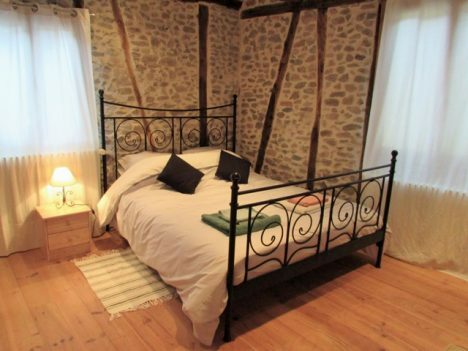 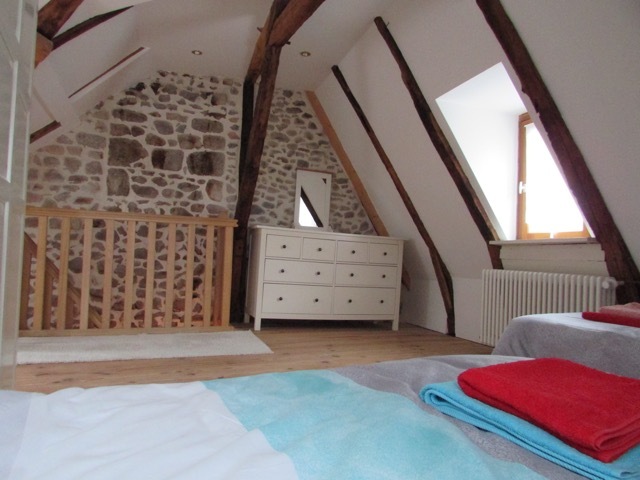 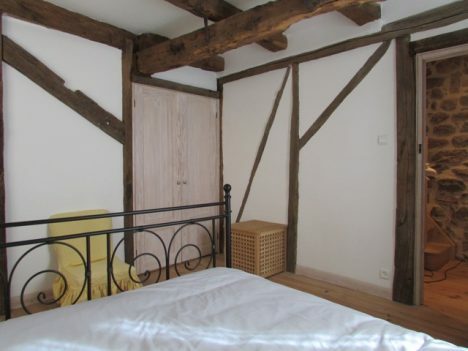 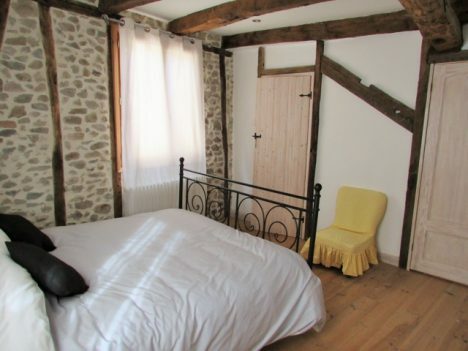 The room has exposed beams and a large built in wardrobe. 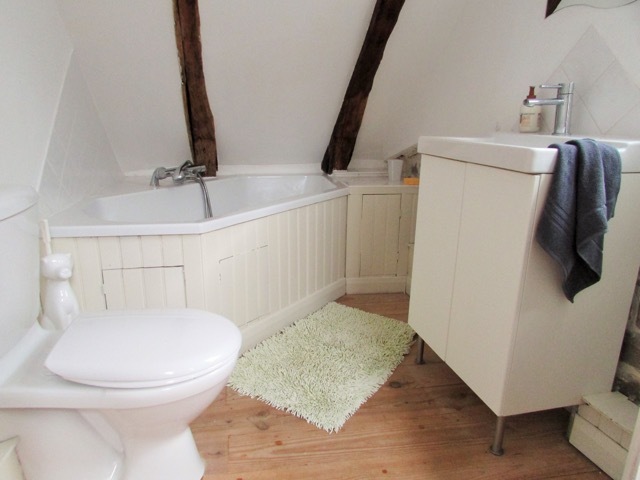 Access to the fourth floor is via a very narrow staircase which leads up to the second bedroom with twin beds and an en suite bathroom with a corner bath, toilet and wash basin. 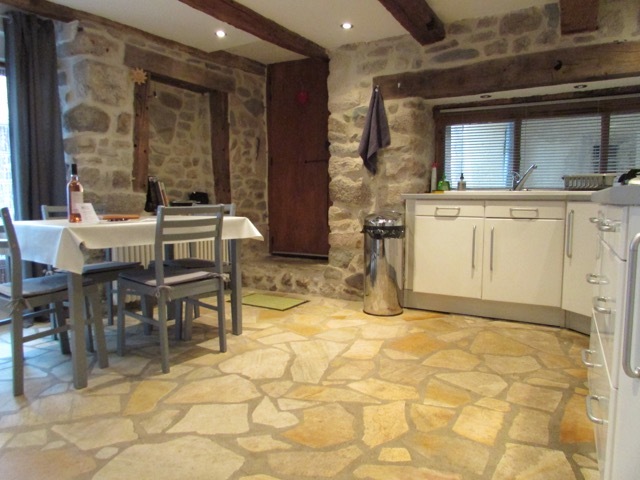 A fitted kitchen with fridge/freezer, dishwasher, electric cooker, gas hob, extractor and microwave and dining table. 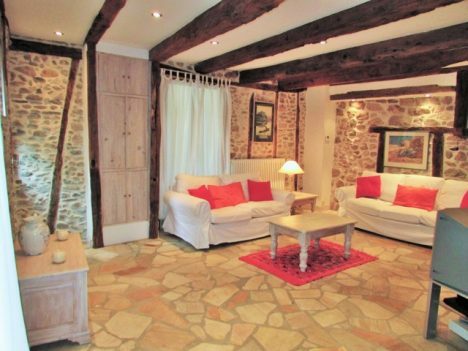 An open plan living area with comfortable sofas. 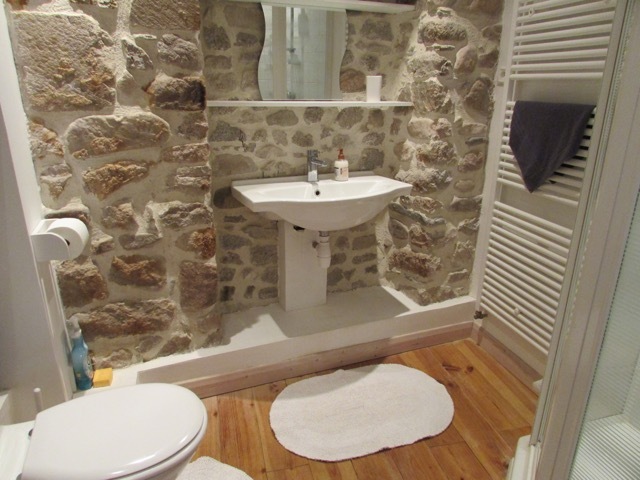 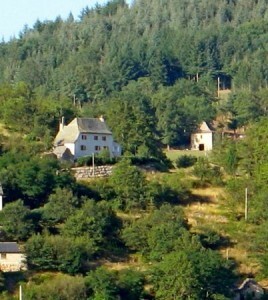 The house has central heating so is ideal for winter breaks. Being a town house, les Couteliers has a small patio which is accessed from the kitchen and a small balcony accessible through the patio doors which open out from the sitting room. 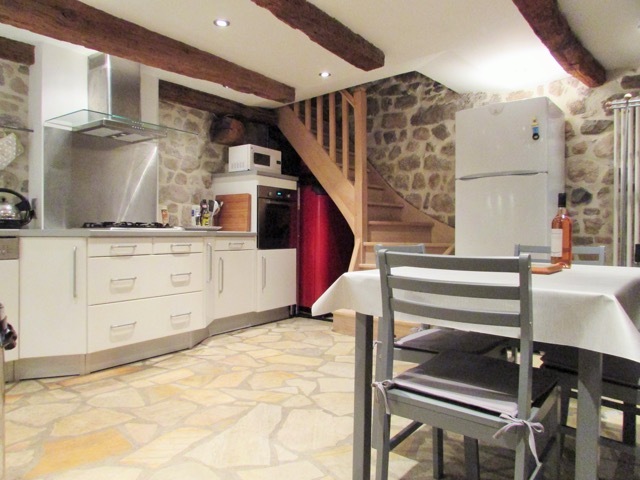 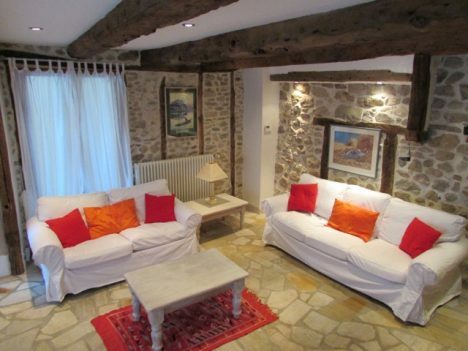 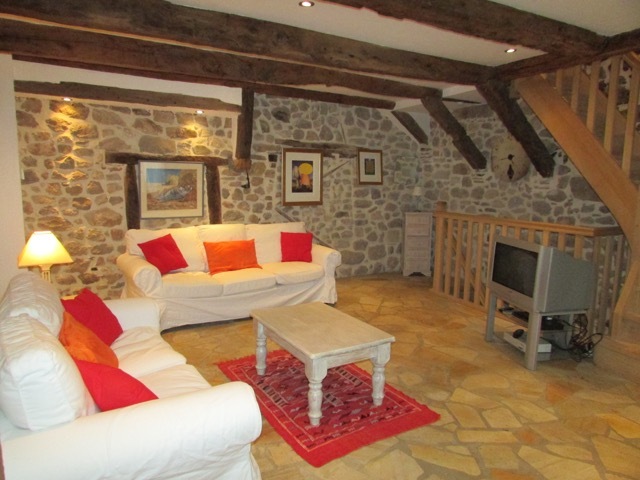 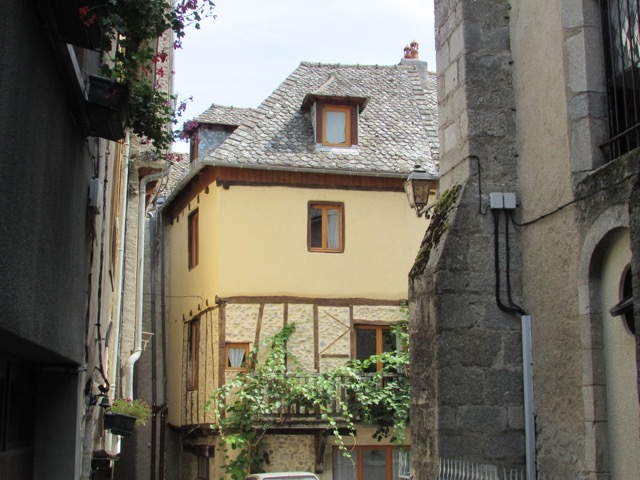 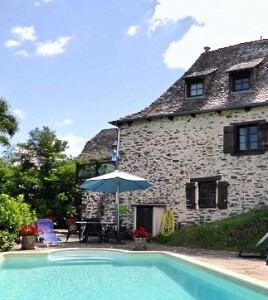 The house is located in a quiet side street behind the church in Entraygues where there is a parking space with access via the patio off the kitchen.